IT MIGHT seem a little strange, but my decision to do a self-drive tour of Ireland was inspired from watching movies centred on the shamrock isle. 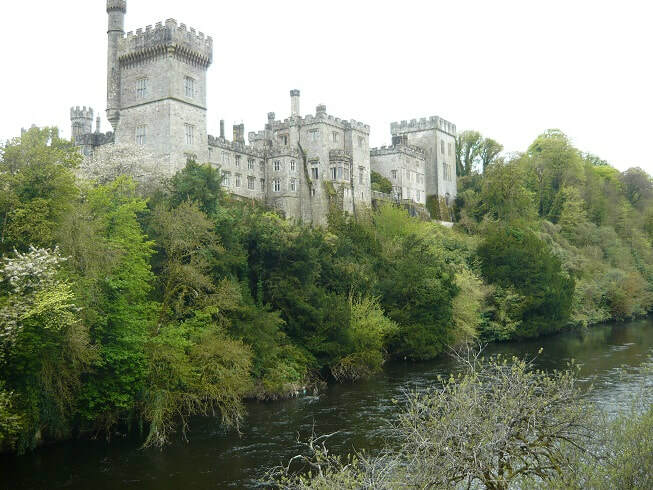 They always revealed beautiful scenery, picturesque boutique hotels and friendly Irish pubs. As I watched I envisaged myself joining in on a song or two while downing a pint of Guinness at McMurphy’s corner pub. Adding to my views of Ireland was the fact that I have always enjoyed the company of the Irish easily warming to their humour and yarns. So the decision was made that we’d spend a week touring Ireland and we’d hire a small car for the trek. Now if you know nothing about Ireland, and to tell the absolute truth I didn’t, it’s best not to just look at a map and say to yourself it doesn’t look that far from town to town. After arriving at Dublin Airport we picked up our hire car and headed towards our accommodation in the city. Mistake one was that we didn’t choose a car with a GPS instead deciding to wait a few days and get a SIM for the phone to use as our guidance system. That decision cost us a frustrating three hours as we circled Dublin’s maze of one way streets searching for our hotel. I don’t like admitting it, but it was my decision not to go with the car GPS a fact I was reminded off more than a few times. 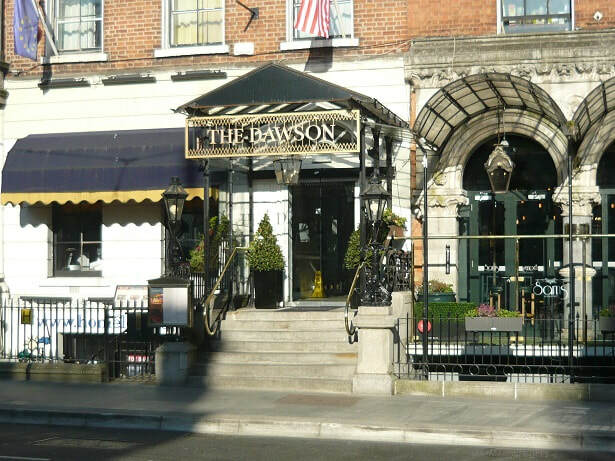 We stayed at the Dawson Hotel and Spa in Dawson Street which we found a convenient location from which to walk around the city. A Trip Advisor tip to take the free walking tour in Dublin proved a winner the next day. A young university student with a wonderful knowledge of the city was our guide and for almost four hours he told us some fascinating stories about the history of the city. 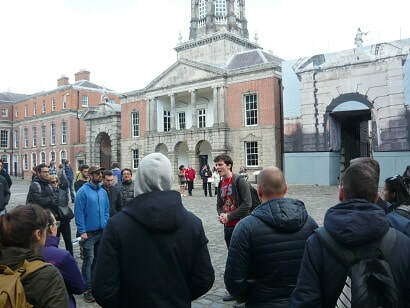 To go on the tour all you need to do is to turn up at Dublin Town Square before 12 noon and join a group. The guides make their money from tips and there were plenty who reached into their pockets at the end of the walk. My mother taught me the famous Irish song “In Dublin’s Fair City” when I was just five year’s old and I have been bringing it out as part of my entertainment repertoire ever since. Mind you it’s a very small and limited repertoire. 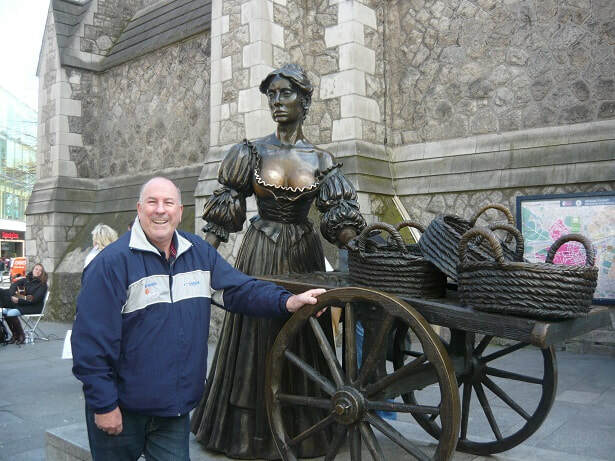 So I was delighted to see our final stop on the walking tour was in front of the Molly Malone statue. Of course as any Aussie knows you never let a chance go by, so I launched into the song and to my pleasant surprise had the entire street singing along with me. I loved it and even the wife joined in for the chorus. There are plenty of bars and restaurants in Dublin ranging from Michelin Star credentialed to the cheap bistros at the many local pubs. We found Marco Pierre White’s Steakhouse and Grill just down the road from our hotel and enjoyed a special night out. Unfortunately the budget didn’t allow us to return, but if you spoil yourself every night it doesn’t seem so special when you do. Day one on the road took us across Ireland to the seaport of Doolin. We booked in at a recently built B&B, Egan’s Wild Atlantic View. The host, who happened to be the Ireland Fly Fishing Champion, was great; the room was first class and the breakfast made to perfection. It’s a big recommendation from us. 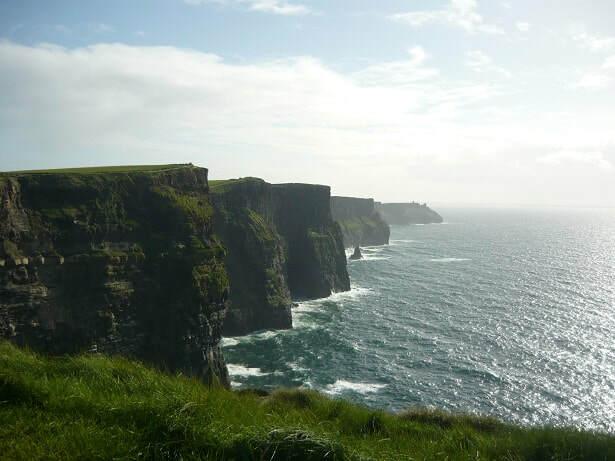 We chose Doolin because from there it’s a short drive to one of Ireland’s premier tourist spots, the Cliffs of Moher. It was a windy day on the cliffs, but worth the climb for a spectacular view. From Doolin we wound our way through to Killarney were again we picked our accommodation well with a stay at Muckross Park Hotel. It sits opposite the national park and in the morning we grabbed a free bike from the hotel and went for a pleasant slow two hour cycle. As a keen punter I found a steeple chase meeting at Wexford to call in before we said goodbye to Ireland. Fortunately the luck of the Irish prevailed and a 10/1 winner helped pay for all our petrol and a few pints of Guinness. 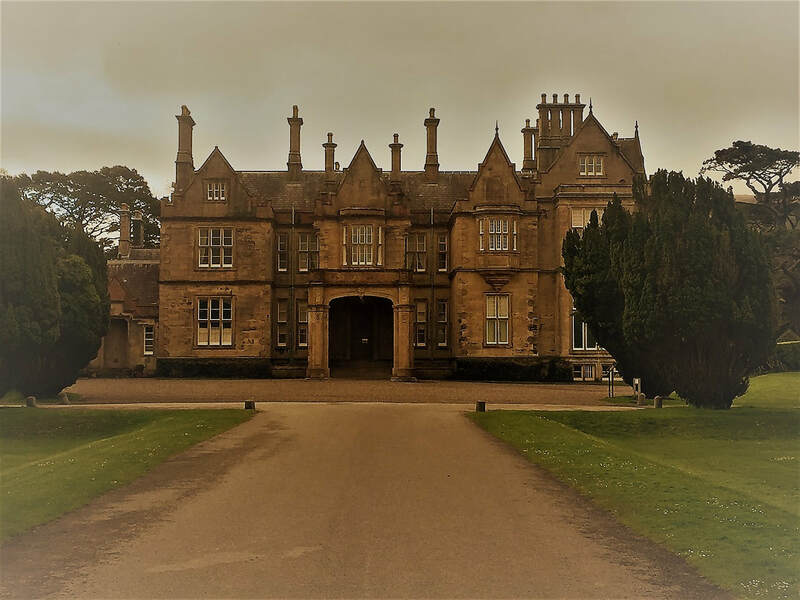 To sum it up the few disappointments we had on our whistle stop self-drive tour were overshadowed by many highlights and if we had our time over again we’d do the same, except this time we’d find a real castle to stay in, ghosts and all.